Mayor Briley announced an ambitious program this week to fund 10,000 new affordable housing units in Nashville over the next 10 years. While I personally applaud this plan, I know some will have reservations because of the stigma that comes with the word "affordable." When you hear that word, you probably think of Section 8 and other forms of subsidized housing. But nothing could be further than the truth. 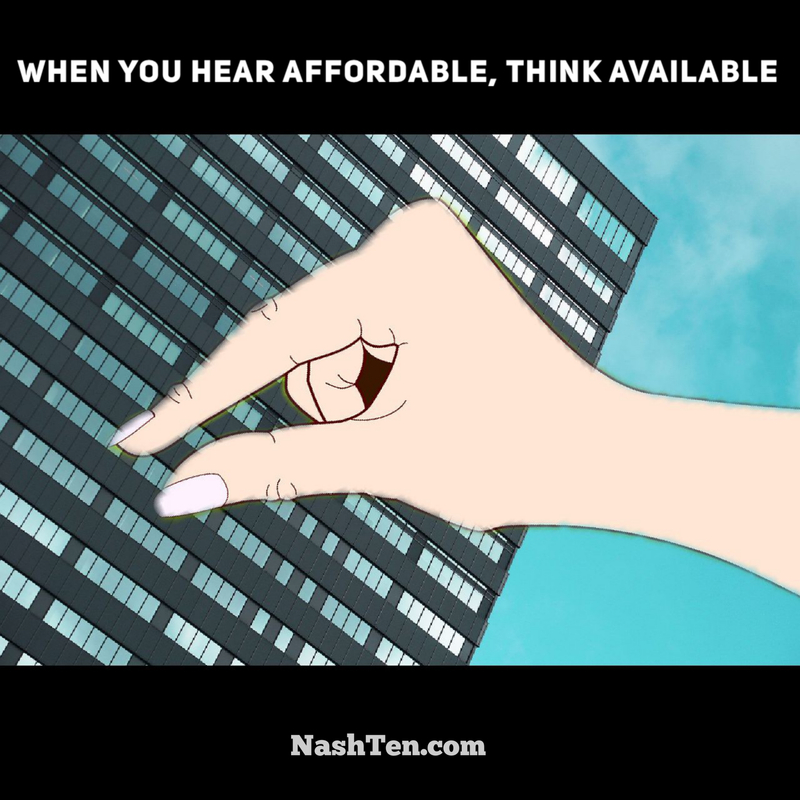 It’s not that Nashville doesn’t have housing that’s affordable, it doesn’t have enough to meet the true need. The average household income in Nashville is $63,939. And with that level of income, the average person could afford a $200,000 home. That sounds great until you find there are only 195 homes in Davidson County listed for $200,000 or less. That’s a three-week supply of homes at the current sales rate. A normal market would have a three-MONTH supply of homes. With only a handful of homes to purchase, this segment of the market is a nightmare for buyers. And many give up before they buy a home. In contrast, there are 227 homes listed for sale over $1 million in Nashville. Or a six month supply of homes at the current sales rate. The easy way out would be to blame the builders, but that would be wrong too. The cost of land is so high that the only way to make a profit is to build expensive homes or higher density. That’s why the Mayor's program is so important for Nashville. 80% of the housing in this plan is dedicated to middle-income housing. Those making close to the average household income. These folks are your single parents, teachers, police officers, firefighters, nurses, and service industry employees. In other words, your friends and neighbors. We can’t thrive or even survive without these folks. Public-Private partnerships have proven to solve these problems on a small scale, and now it’s time to turn it up a notch. These partnerships incentivize corporations to build homes that our growing workforce can afford to buy. If this sounds good to you, here are a few things that you can do to help. This plan will need to be passed by the Metro Council. Make sure you call your Council member and let them know you expect them to vote for the mayors Under One Roof 2029 proposal. Encourage your employers to help by donating to the cause. Mayor Briley is looking for $250 million in support from Nashville businesses to make this a huge win for our city. Do you still have concerns? Hit reply and let me know what you think.